Dreaded cellulite -- most women have it. But cellulite is actually just normal fat that's beneath the skin. It pushes through connective tissue, resulting in the classic cottage cheese appearance. And if you think losing weight will help, it won't. Your size doesn't matter -- cellulite can affect anyone. But how do you get rid of cellulite? While cellulite is mostly based on your genetics (that's right -- it's okay to blame mom and dad), it can be exacerbated by eating a poor diet and not exercising enough. This means you want to avoid high sodium foods. Why? Because it'll cause your fat cells to swell, making your cellulite more pronounced. Consume low-sodium foods while eating lots of high fiber, whole grain foods, and fruits and vegetables. What's more, you should consume lots of water that'll help keep skin hydrated, reducing the appearance of cellulite. You'll also want to exercise several times a week to help improve circulation and build muscles. This will help reduce the appearance of cellulite over time. 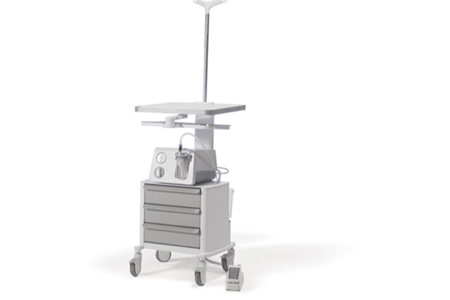 Cellfina is clinically proven to reduce the appearance of cellulite for at least two years. It uses a needle-sized device to cut some of the fibrous tissues that hold fat together underneath your skin to smooth out dimples. Results are pretty immediate and long-lasting. 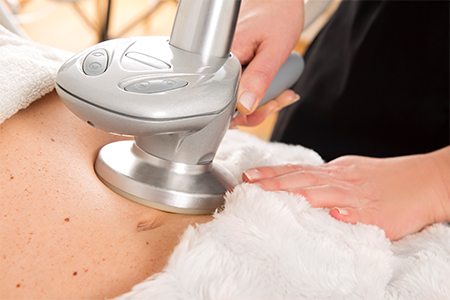 Velashape is a non-invasive treatment that uses infrared light to reduce fat layers while reshaping the body. Multiple treatments spaced three months apart are needed before you start seeing results. Velashape is ideal for mild-to-moderate cellulite. Cellulite creams contain ingredients that claim to reduce the appearance of cellulite, but it mostly depends on the cream. 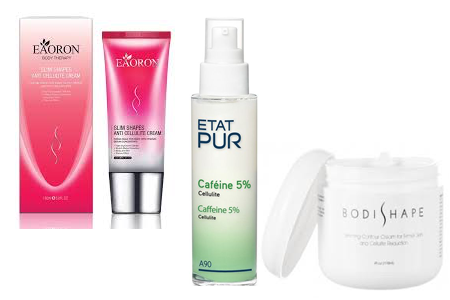 Some creams use retinol to promote collagen growth while others contain caffeine to make cellulite less noticeable. Cellulite creams temporarily reduce the appearance of cellulite but don't get rid of it. 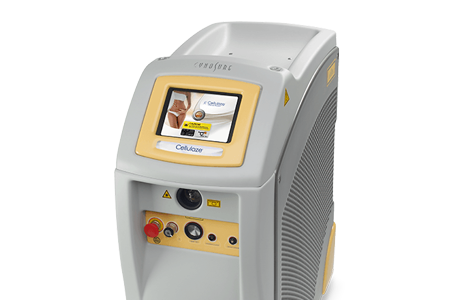 Cellulaze is a non-invasive treatment that breaks down the structure of cellulite beneath your skin using lasers. 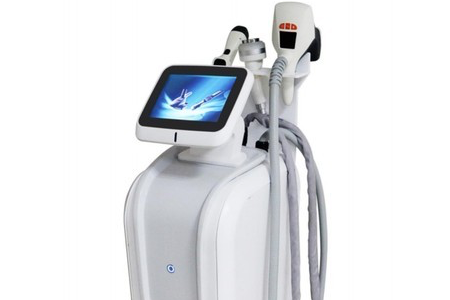 More specifically, the lasers increase skin thickness, release fibrous tissue, stimulate collagen production, and reduce fat. Results are long-lasting, too. This approach involves rubbing a brush against your skin to stimulate lymphatic drainage, increase circulation, and exfoliate skin. 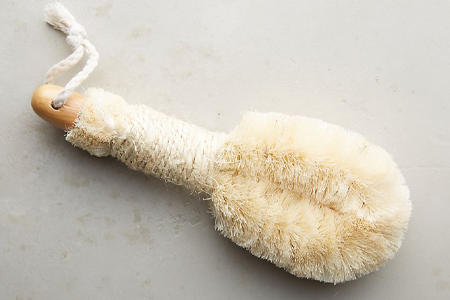 But dry brushing probably won't produce significant results, and it can lead to skin irritation and infections. Steer clear of it. To really combat cellulite, you need a multifaceted approach that involves exercising, maintaining a healthy weight, and eating healthy. You can also incorporate some clinically-proven cellulite treatments into your regimen, such as Velashape and Cellfina, to really achieve powerful long-term results. But remember that not all cellulite treatments are effective, so do your research. "5 Popular Cellulite Treatments From Best to Worst," Women's Health, June 11, 2018. "9 Ways You Can Actually Minimize The Appearance of Cellulite," Cosmopolitan, March 5, 2018. "What is the Most Effective Treatment for Cellulite?," Real Simple, n.d.